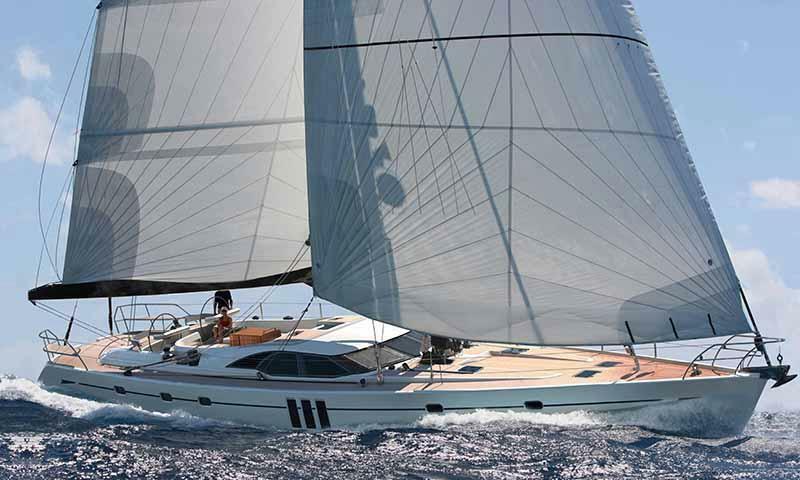 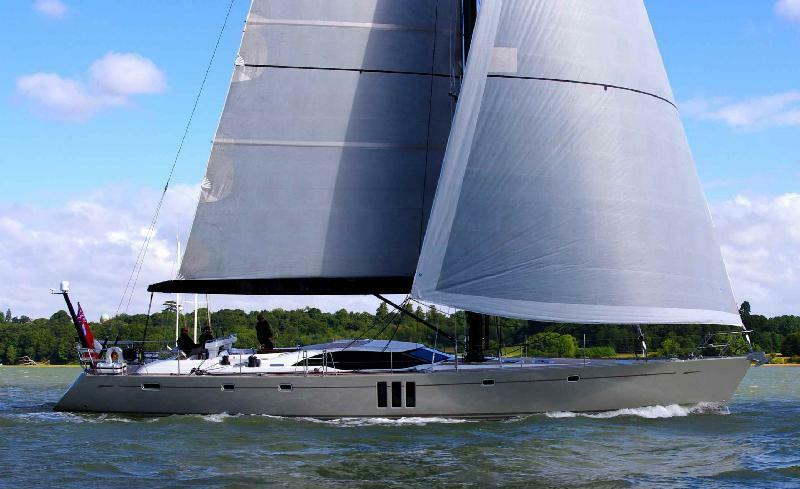 Sailing yacht SPIRIT OF PHANTOM is an Oyster 725 yacht built by Oyster Marine in 2012. 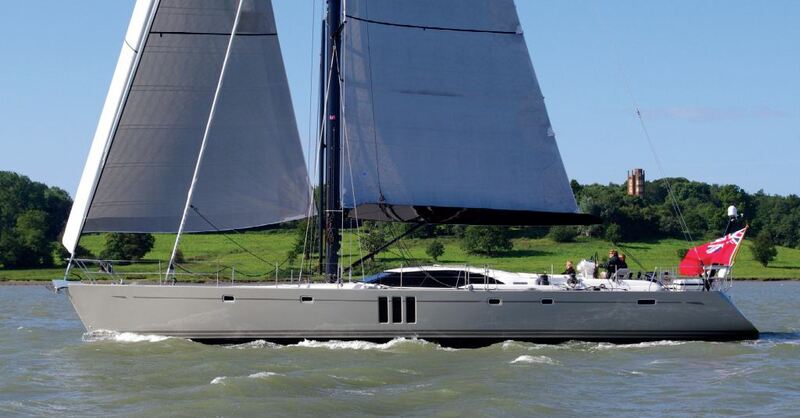 Setting the standard for high-level entertainment and luxury chartering, S/Y SPIRIT OF PHANTOM is the first Oyster 725 model to incorporate the newly designed sea scape windows and flush aft deck. 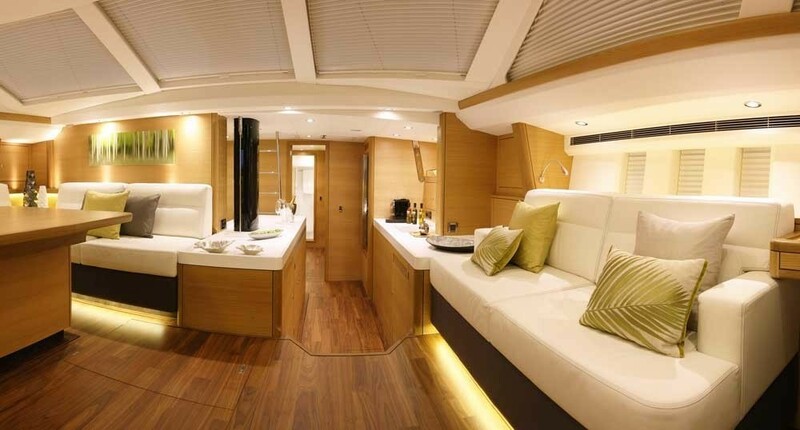 The SPIRIT OF PHANTOM features an interior in American white oak, which, together with her white leather upholstery and her large windows creates a spacious and bright interior with a clean, refreshing and peaceful ambiance. 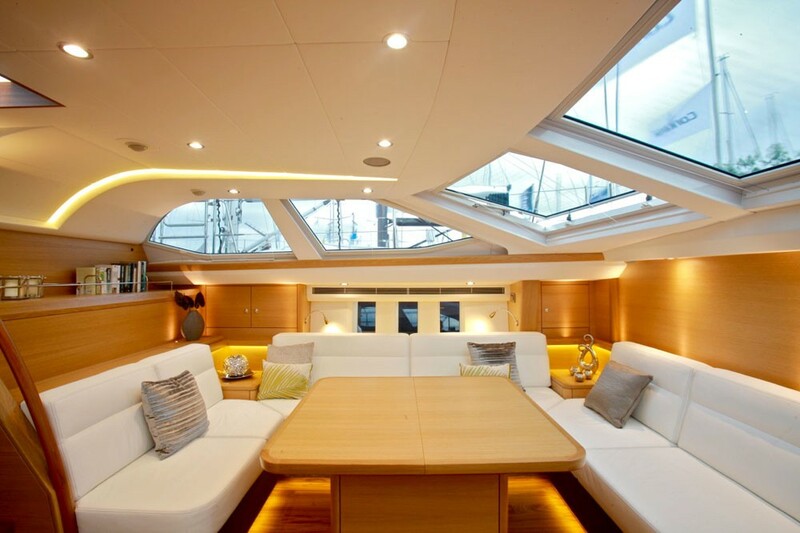 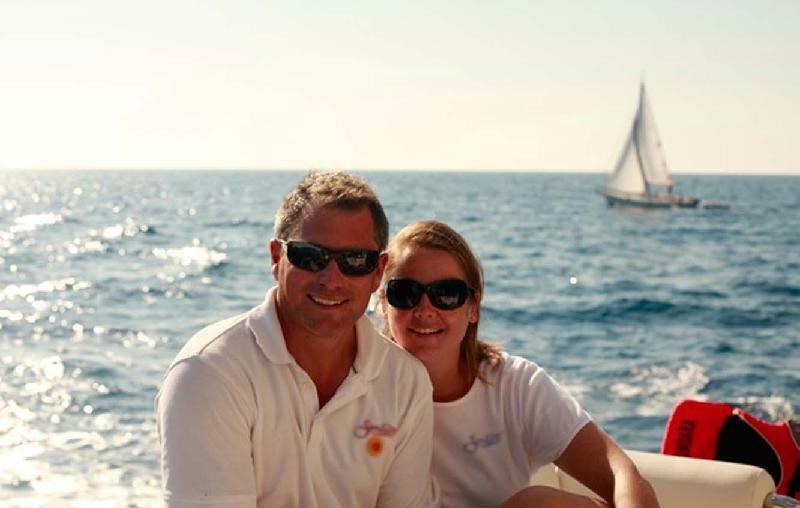 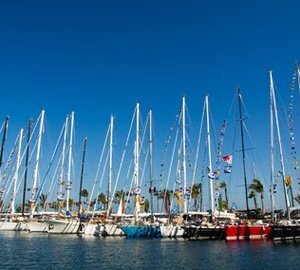 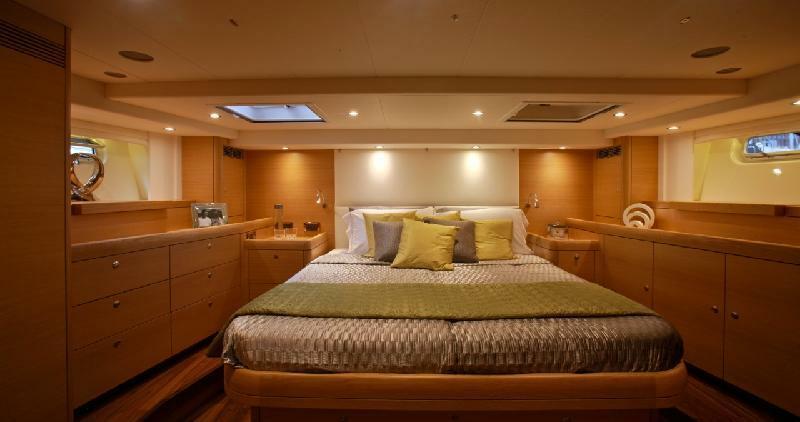 Sail yacht SPIRIT OF PHANTOM is able to accommodate up to 6 charter guests in 3 beautiful cabins. 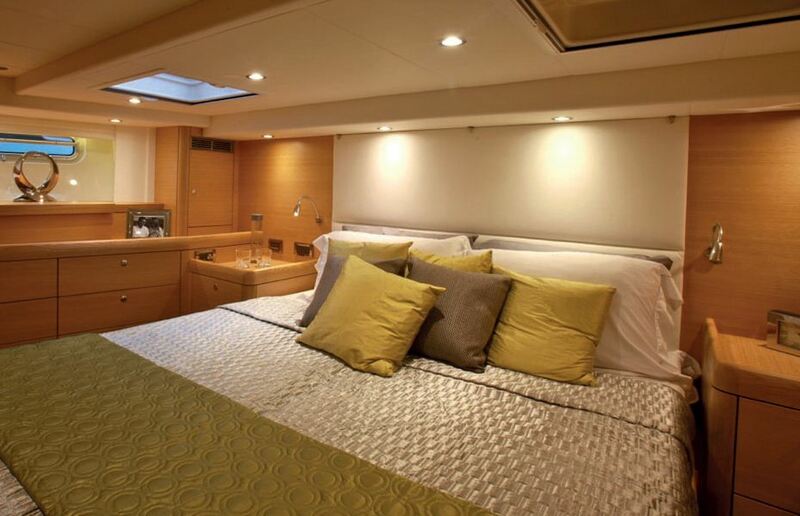 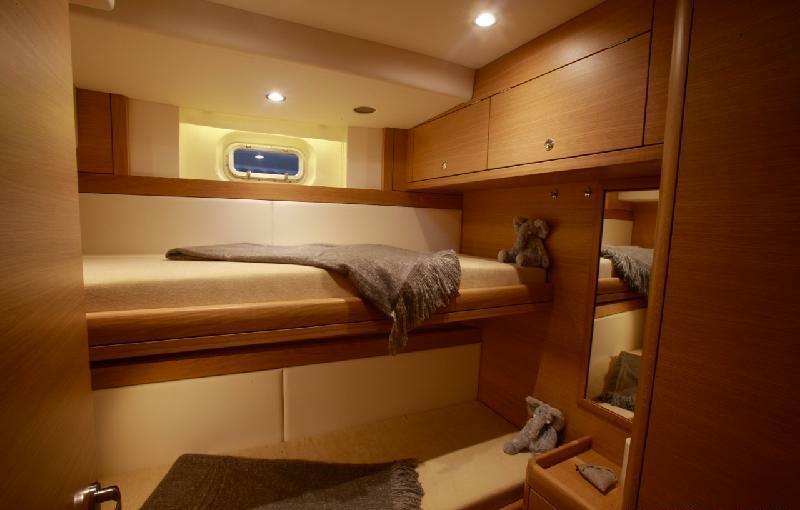 The luxurious and spacious master cabin has a center line queen bed with ensuite facilities and an enclosed shower. 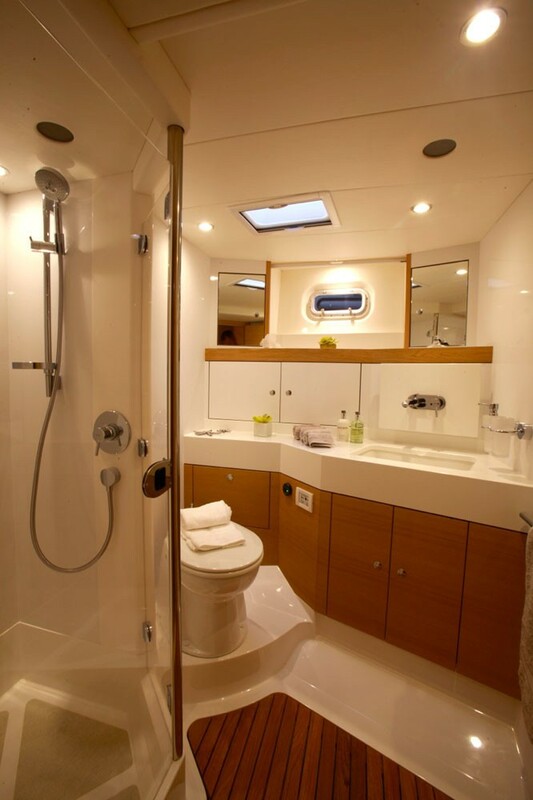 The port aft guest cabin offers a double bed and the same level of comfort, with an en-suite head with separate shower forward. 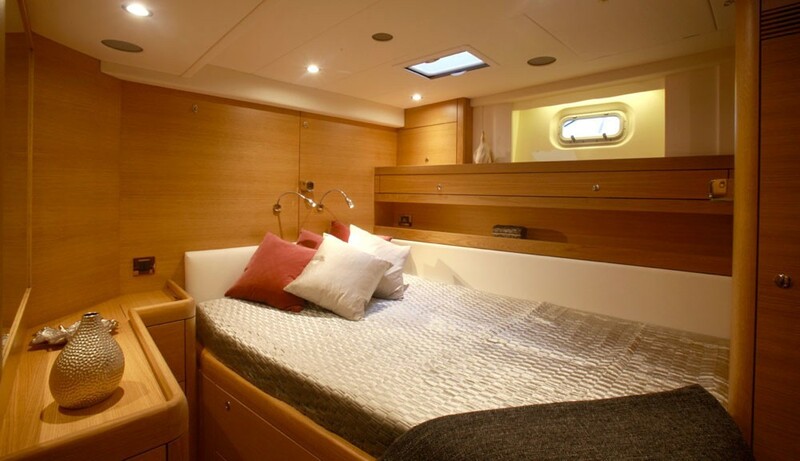 A pull out pipe cot offers parents the added convenience of having a bed for their young child with them if required. 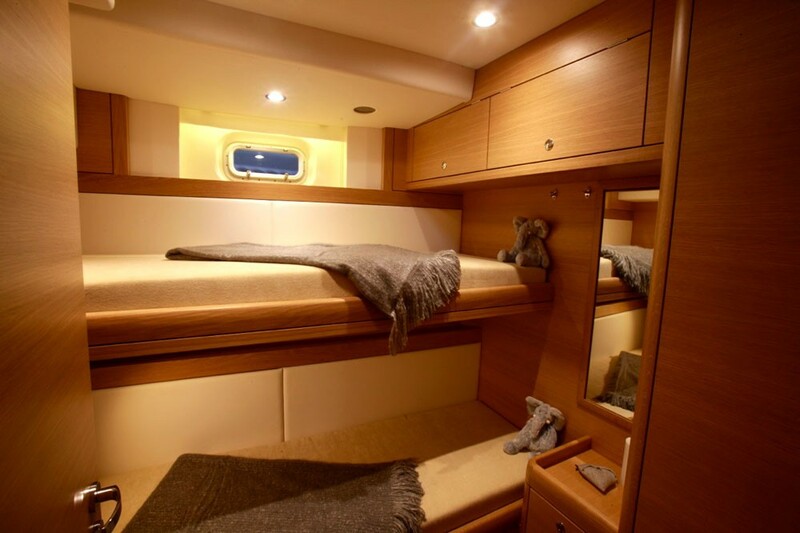 A comfortable twin bunk cabin is located Aft to starboard. 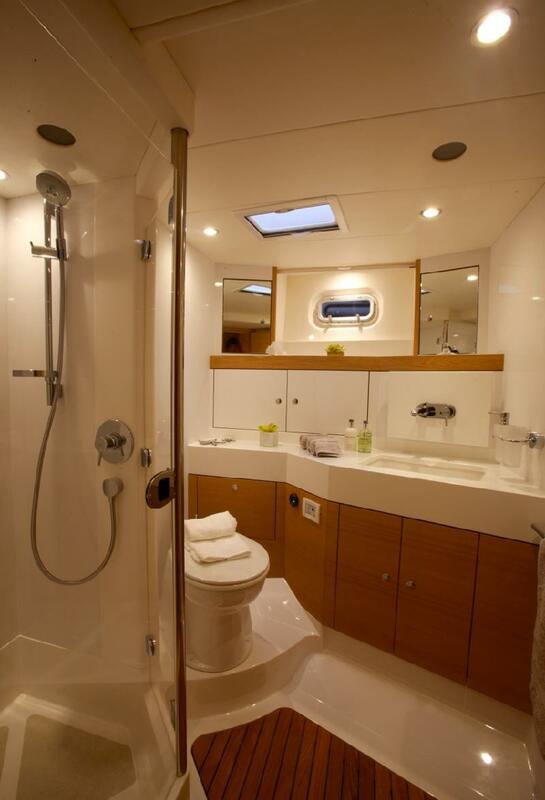 This cabin shares the same head as the port cabin with access from the passageway. 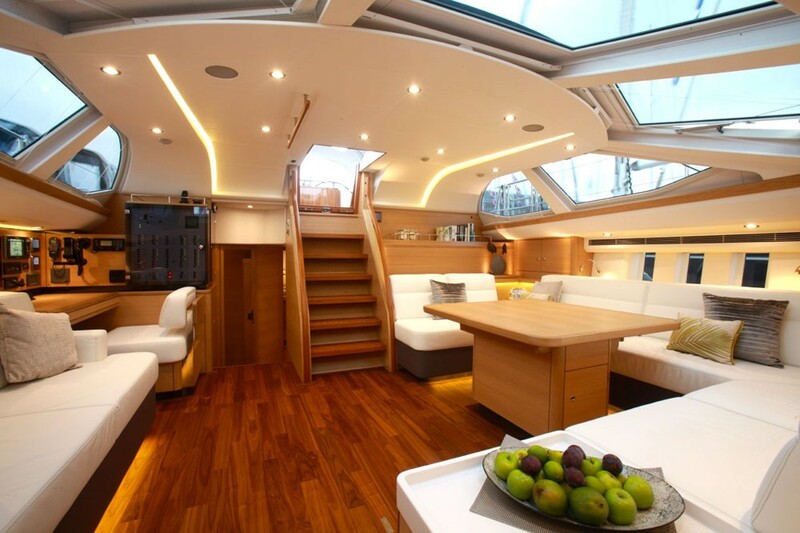 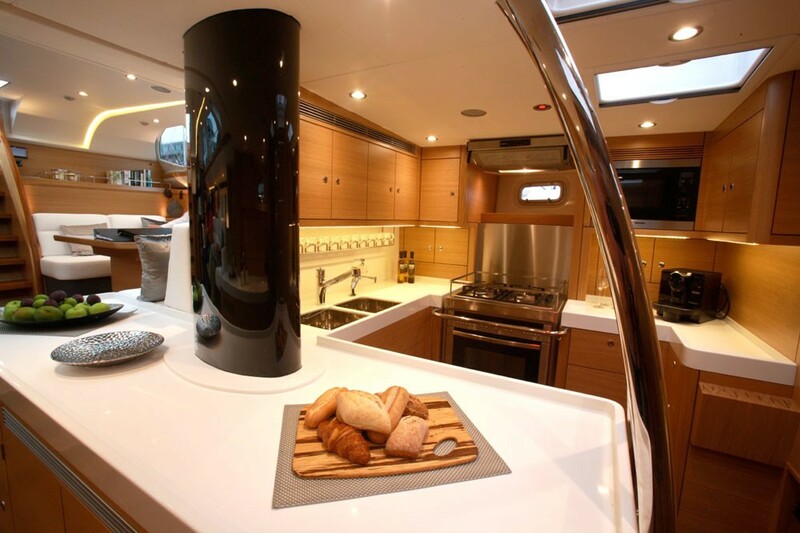 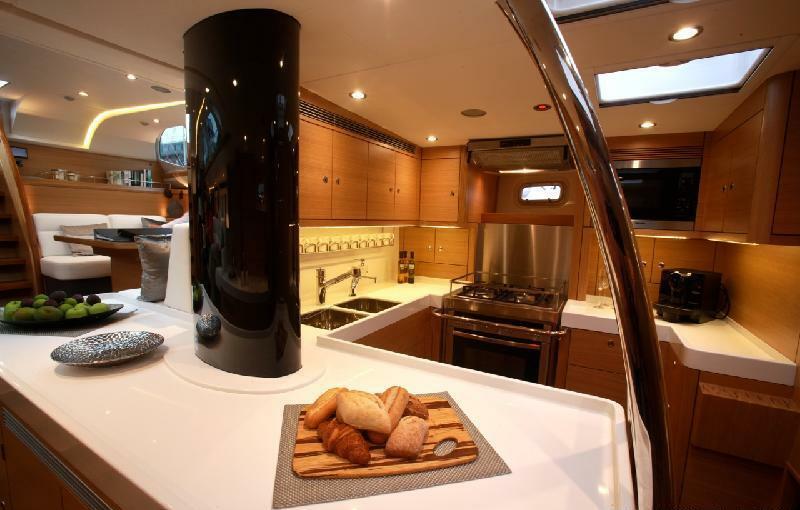 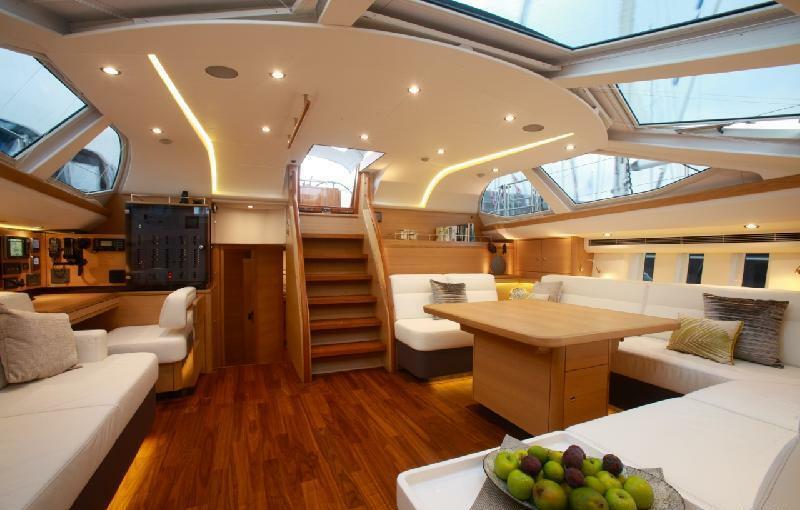 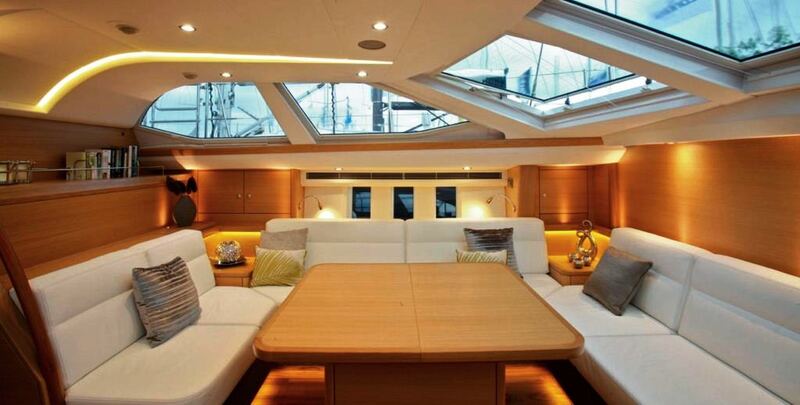 The crew quarters with private access is located forward of the galley. 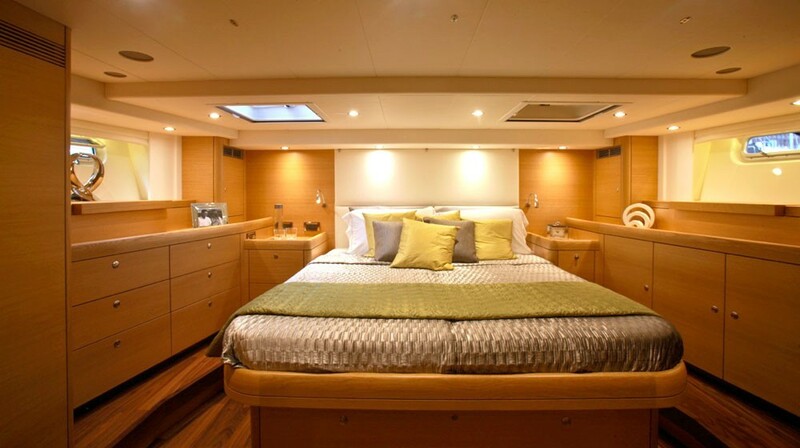 The Oyster 725 SPIRIT OF PHANTOM boasts all the latest in modern amenities including air conditioning throughout, discreet forced air ventilation, CDs and iPod docks, recessed flat screen TVs with access to over 350 movies on her Kaleidescape movie server, and an outdoor thermal camera. 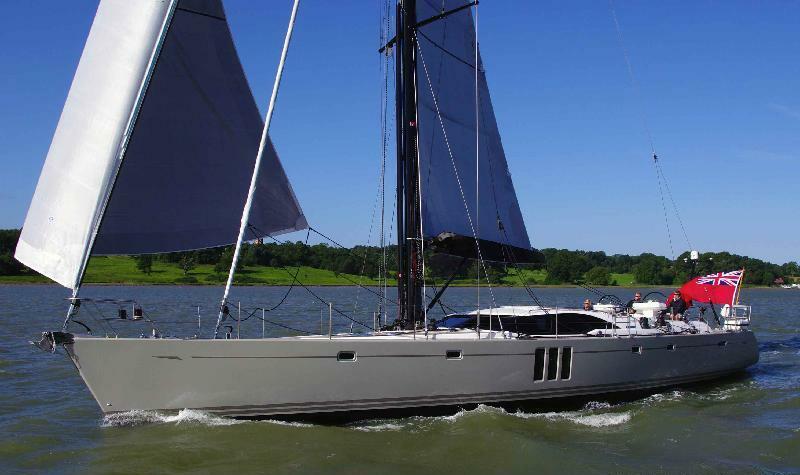 The SPIRIT OF PHANTOM performance sailing yacht also features a great selection of onboard water sport toys including a 7 person 4m inflatable RIB with a 50hp engine and an alloy bottom, ideal for guests to enjoy water skiing or knee boarding or getting to the nearest deserted beach for a picnic or perhaps as transport to a chic nightclub. 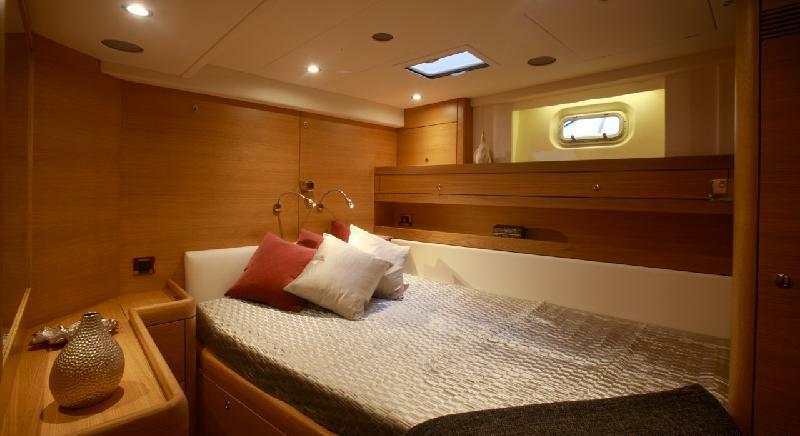 S/Y SPIRIT OF PHANTOM can accommodate 6 guests in 3 beautiful cabins including a spacious master cabin with a center line queen bed, ensuite facilities and an enclosed shower, a double cabin located aft with an en-suite head with separate shower forward and a comfortable twin bunk cabin is located Aft to starboard which shares the same head as the double port cabin with access from the passageway.